To book your next fishing trip or send a message use the form below. We’ll respond as quickly as possible. If you’re in the area you can’t miss us. 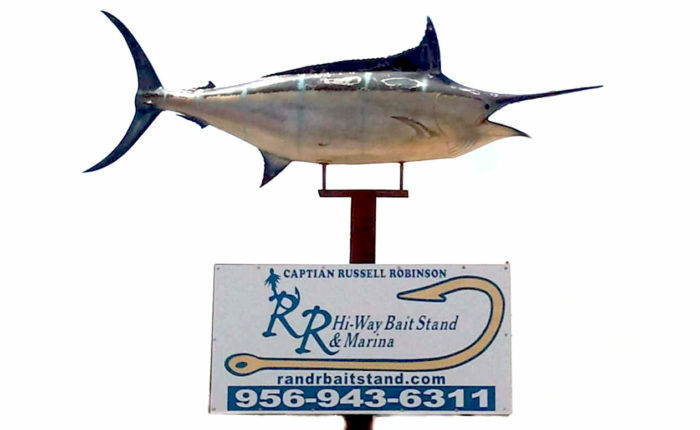 Look for the 16 foot blue marlin mounted on our sign above the NEON ORANGE building. As you travel into Port Isabel on Hwy 100, you’ll see us on the right hand side (east side) just 2 block before Dairy Queen.